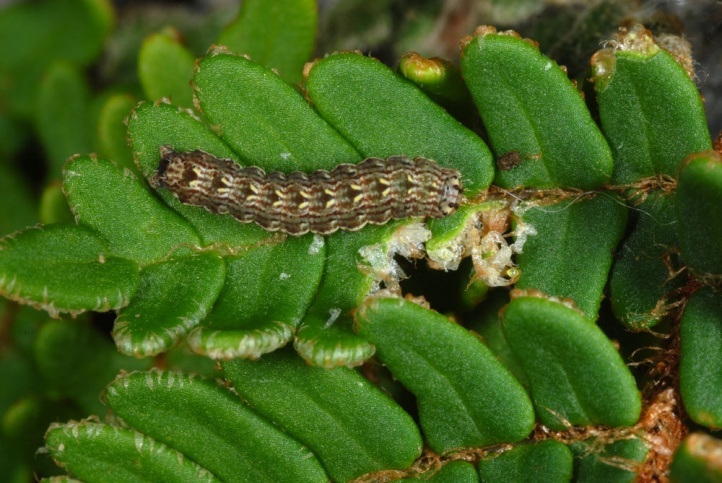 The caterpillars feed on ferns, especially those that grow on walls or rocks as Ceterarch officinarum. 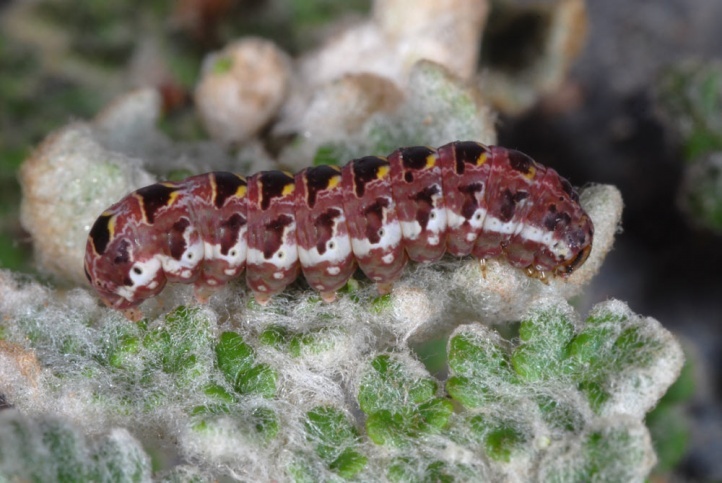 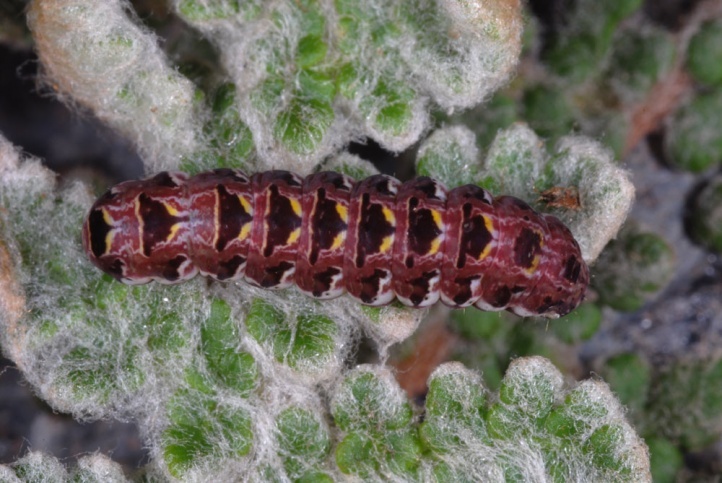 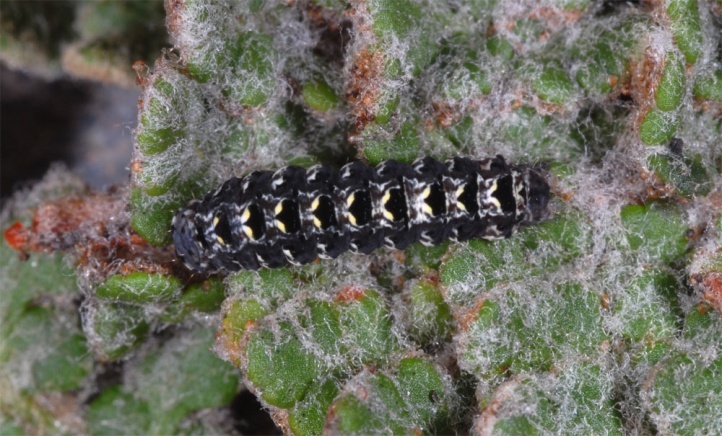 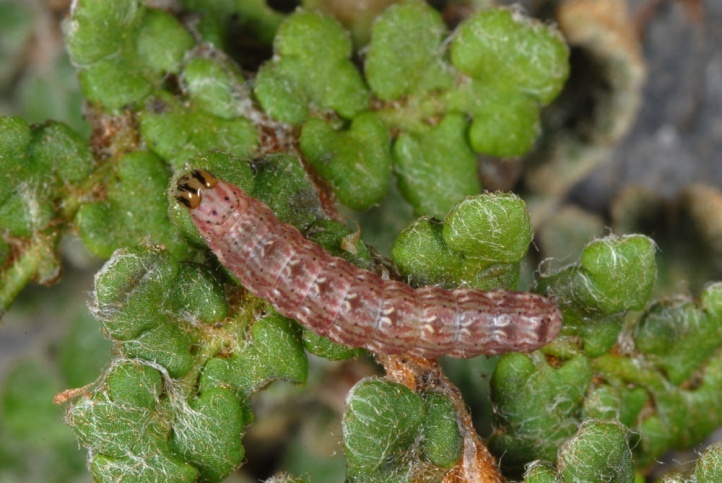 In La Palma, I found many larvae on a wall of natural stones on various ferns, especially Cheilanthes vellea. 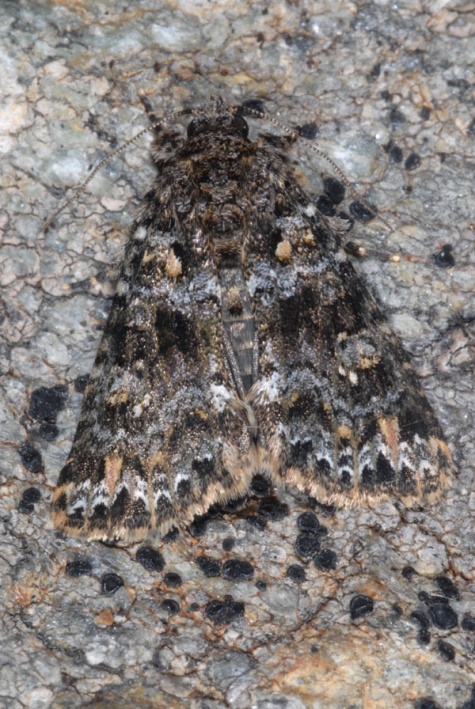 Callopistria latreillei inhabits rocky, dry-warm or humid-warm habitats and walls. 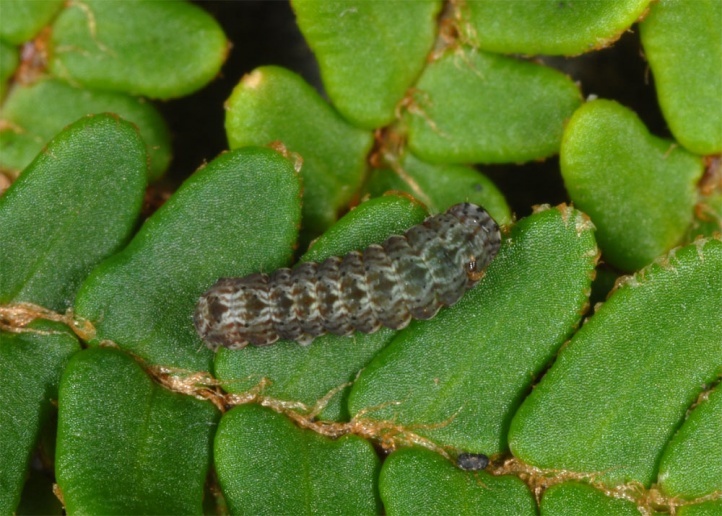 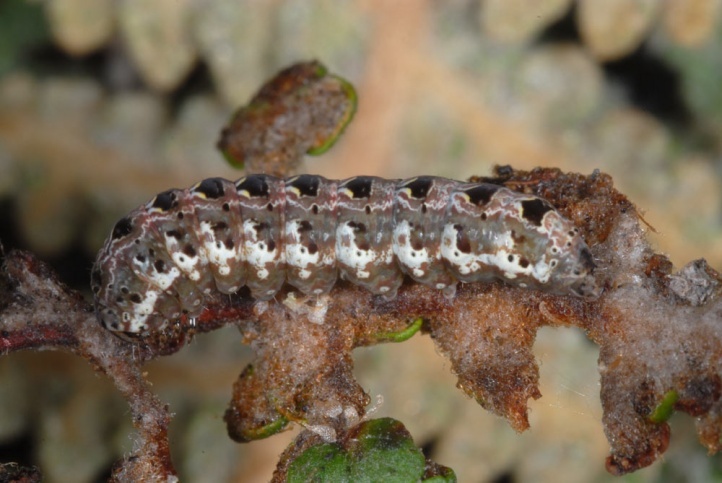 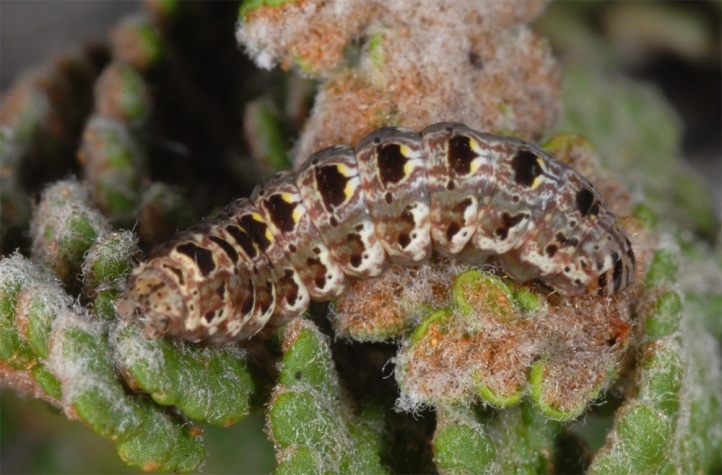 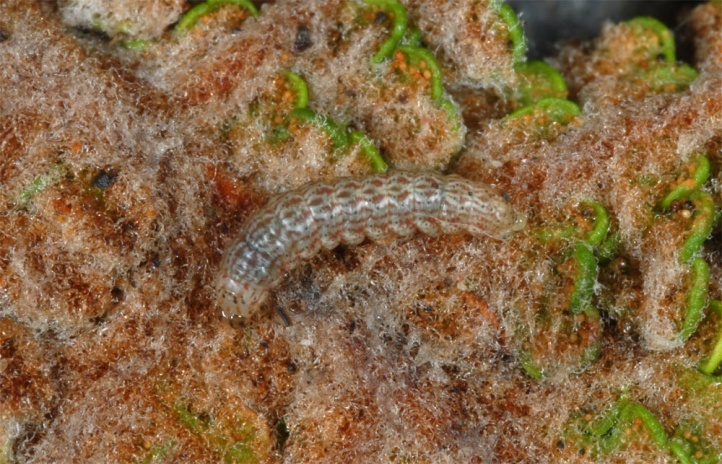 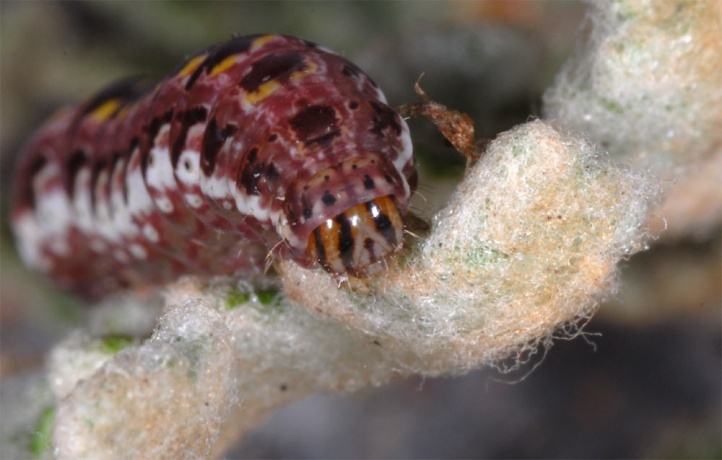 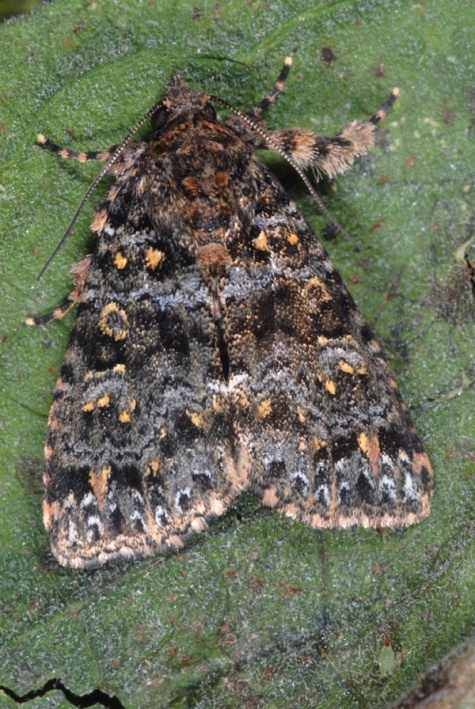 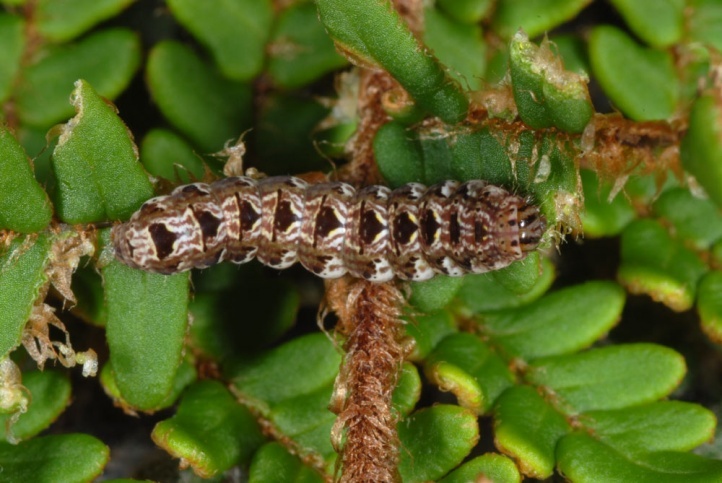 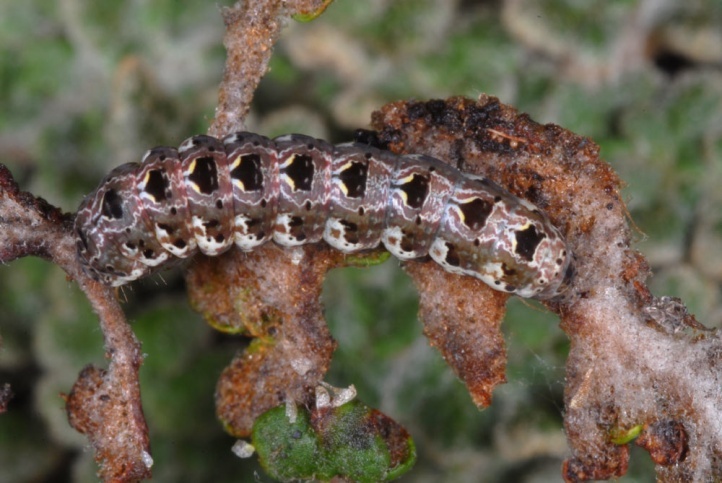 The caterpillars live in older instars during the day mainly more hidden among the ferns or withdrawn in wall cracks, moss or lichens near the host plants or at their base. 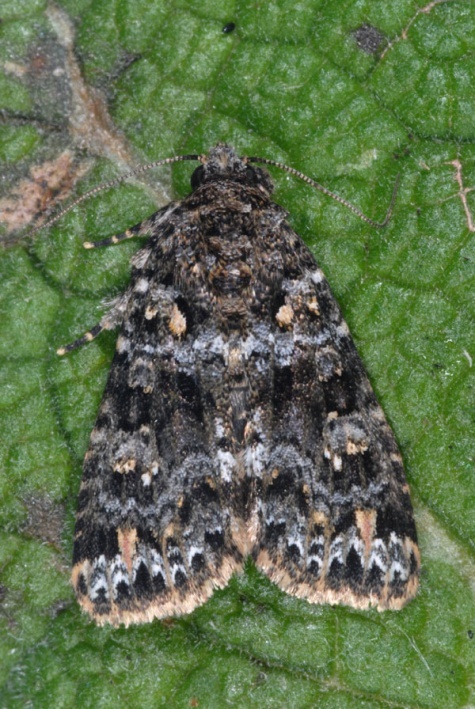 Thus the feeding scars are more conspicuous. 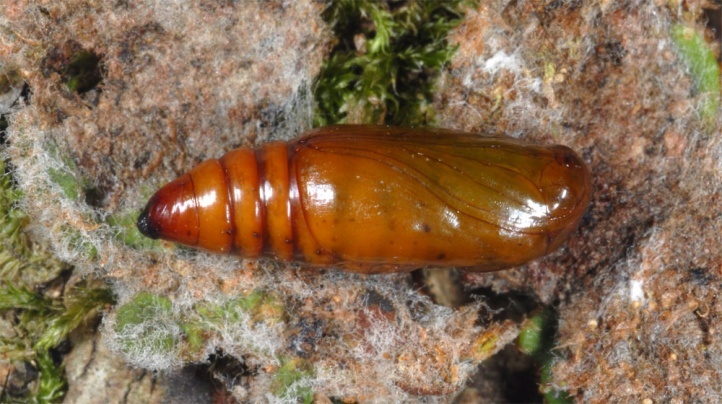 In the south, the moths fly in an unbroken succession of generations (in the summer maybe partial drought dormany), further to the north it is likely that the pupa hibernates. 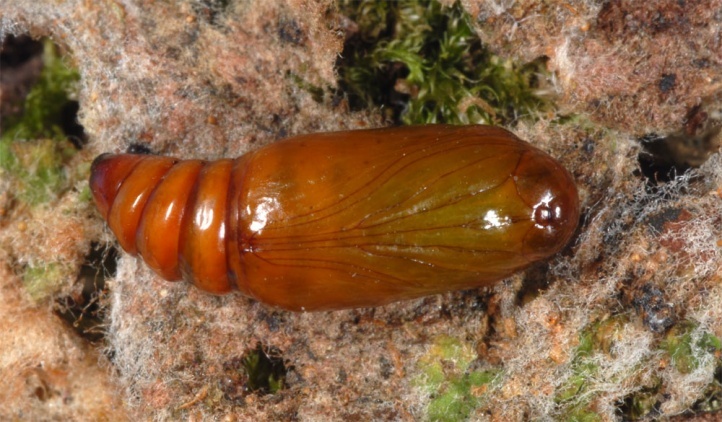 Direct observations of this, however, seem to be missing. 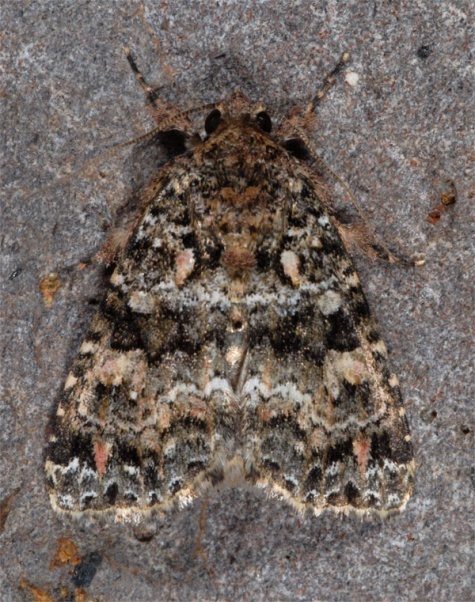 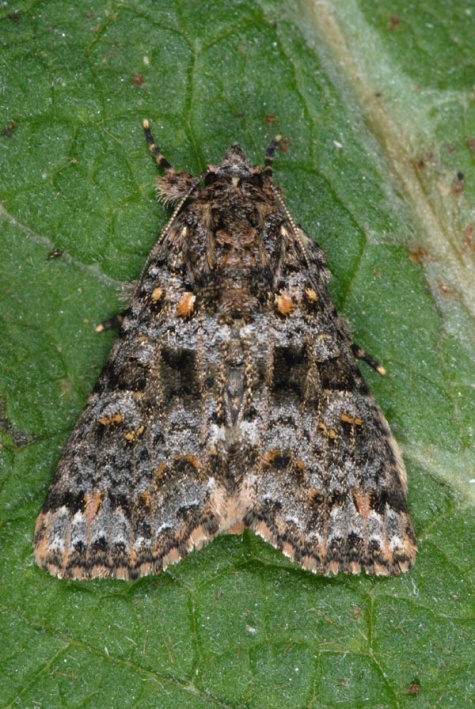 Callopistria latreillei is found in subtropical to palaeotropical distribution in Africa and the warmer part of Asia. 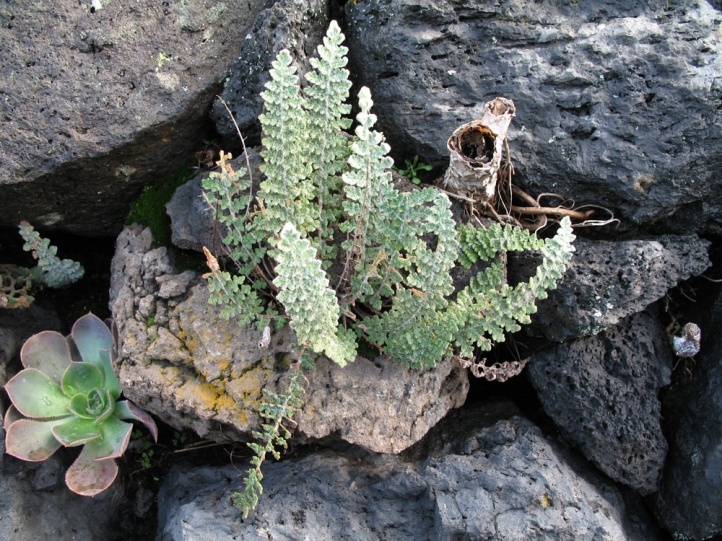 It also occurs in the Canary Islands. 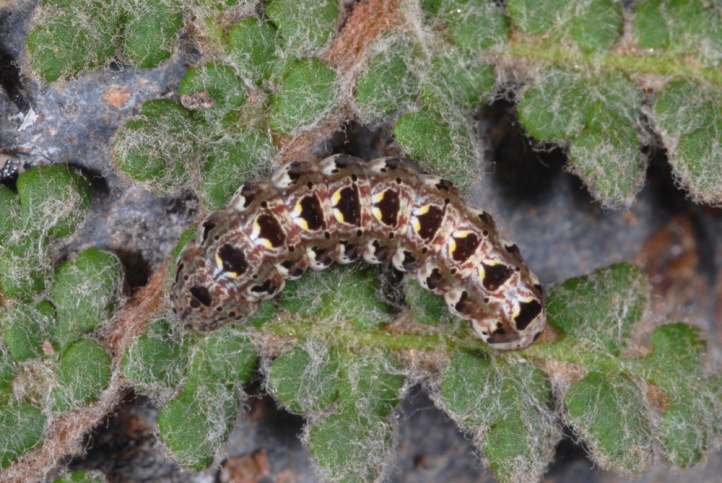 In Europe it is found in the Mediterranean and apparently penetrates to the north (if native?) 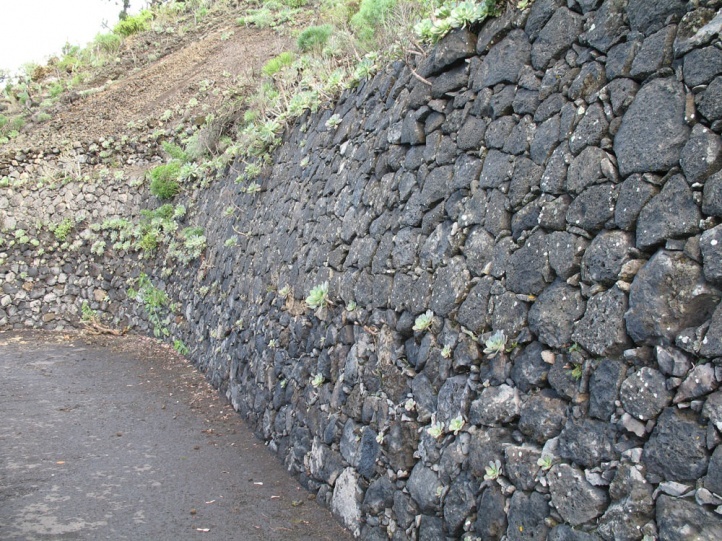 to the southern foothills of the Alps.